The toast special this week is a new take on the classic lox and cream cheese combo. 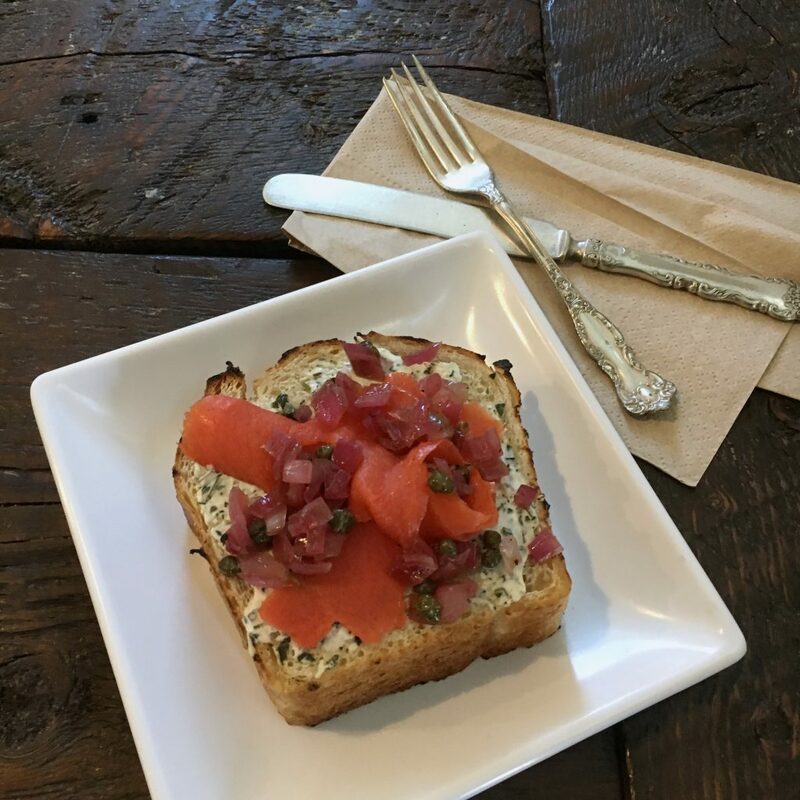 It’s full of interesting and intense flavors with a bright and creamy herbed cream cheese, savory smoked salmon, and salty and vinegary caper and red onion relish. All of this is piled atop a thick slice of house made sourdough bread toasted to perfection.